BIG RED!!! 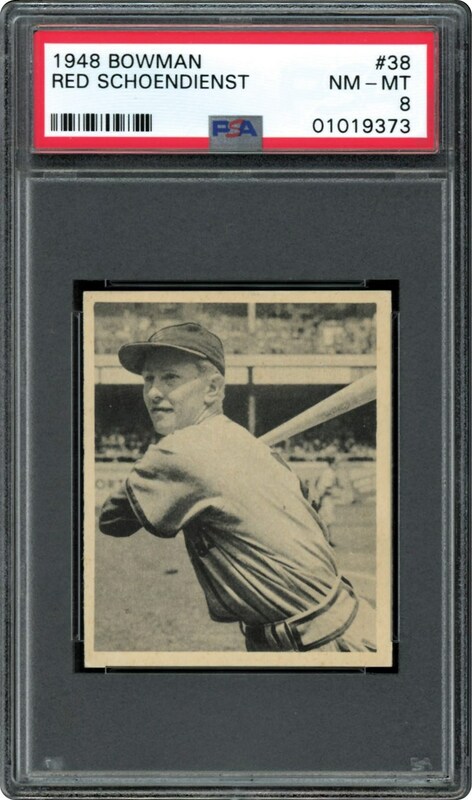 Hall of Famer Red Schoendienst on his Rookie card issued in 1948. 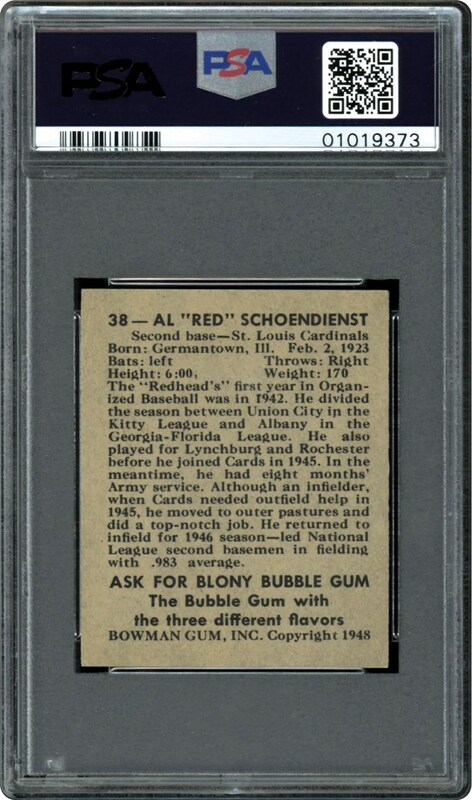 As nice a card you will ever see of Red. All solid attributes on this NM-MT 8 card. Take a look!! !